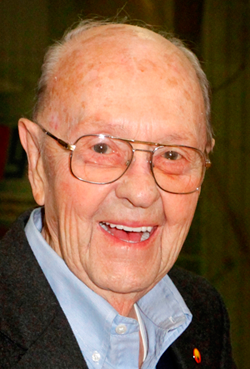 Webbs Norman in March of 2015. 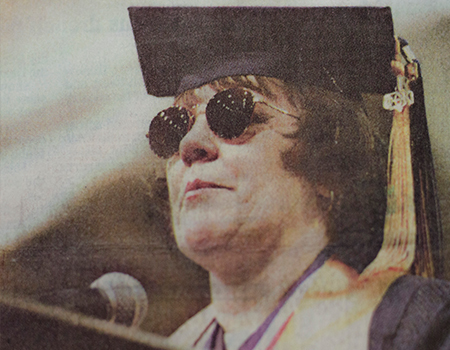 In the summer of 1999, Rock Valley College offered a “How to Prepare for Y2K” class. The class, offered four times that summer and taught by Jodi Didier, covered information on drying foods, how to store food, living without electricity, surviving without water, how to keep warm, how to evacuate your home, and other disaster-preparedness topics. Didier realized that Y2K might come and go without incident, but still felt her course was worthwhile for teaching people how to prepare for emergencies. The college was initially preparing for a 30-person class that summer but the response was so strong that it was opened up to 100 students. 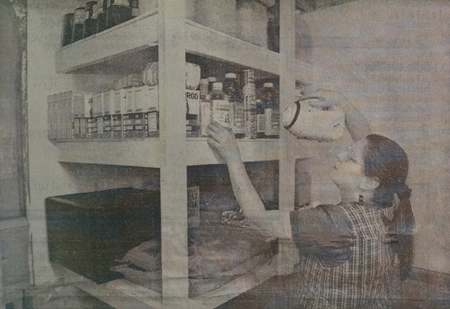 Jodi Didier looks over her Y2K storage area using a wind-up flashlight at her home in 1999. Rock Valley College was one of just two local colleges to participate in the Illinois Virtual Campus when it was created in 1999. The IVC was essentially a catalog of courses and programs offered online by Illinois colleges and universities with a goal of helping students quickly find available online courses. The IVC website had a variety of tools that made locating information easy. Learners could search for courses or programs by subject, school, and degree or browse the database by subject, school, or by most recent additions. In 1999, the IVC started with 931 courses offered by 38 institutions around the state. For the fall 2015 semester, RVC is currently offering nearly 150 online credit courses. 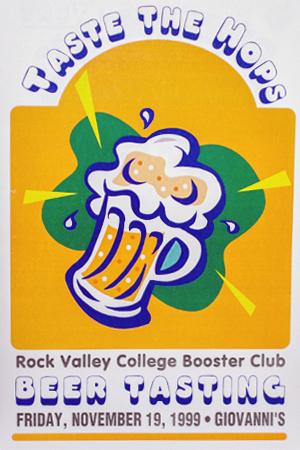 On November 19, 1999, the Rock Valley College Athletics Booster Club held its inaugural Taste the Hops fundraiser. The event, still held annually, gives you the opportunity to sample from a wide selection of unique beers and features live and silent auctions, raffles, food, music, and dancing. All proceeds benefit the athletics programs at Rock Valley College. Be sure to save the date for this year’s event on Friday, October 23, 2015! The Rock Valley College Community Chorale was one of just three groups to perform at a special millennium concert at the legendary Carnegie Hall in Manhattan on December 30, 1999. RVC’s choral director Dean Durst saw an advertisement looking for groups to perform at the event and sent in a recording of commissioned work the chorale performed in December 1998. Durst referred to Carnegie Hall as “Utopia for musicians.” The performance, The Last Concert of the Millennium at Carnegie Hall, was attended by 58 of the chorale’s 70 members. The chorale members ranged in ages from teens to those in their 70s and represented all walks of life. For those who could not travel to the Big Apple to watch the performance, the chorale offered a sneak preview of the music they would perform at Carnegie Hall in a special show in RVC’s Performing Arts Room on November 19, 1999. 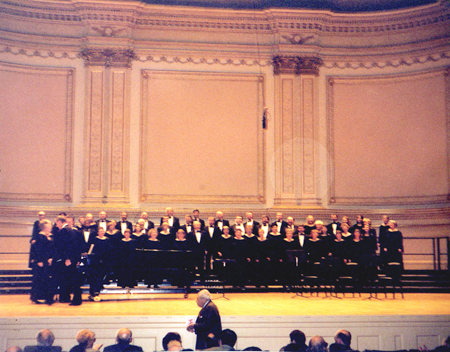 The Rock Valley College Community Chorale performing at Carnegie Hall on December 30, 1999!